CATHOLIC GIFT SHOP LTD - 18 kt Gold Plated Bracelet & Necklace Cross Jewelry Gift Set. 18 kt Gold Plated Bracelet & Necklace Cross Jewelry Gift Set. 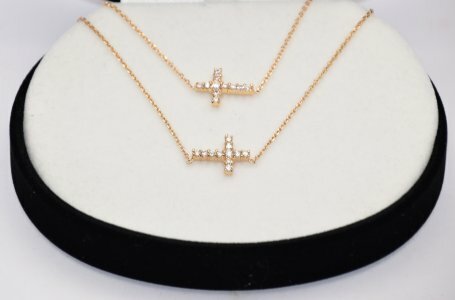 18 kt gold plated cross bracelet & necklace gift set, with cubic zirconia stones. These stones provide beauty and elegance of a colorless diamond-like stones. The CZ cross, creates a striking sparkle with rainbows of colour and light refracting capabilities.